Structured Notes Auditing and Reporting in Endoscopy is a method of collecting data from an endoscopic exam in a uniform way, where important factors are laid out in a list of options rather than described by a physician’s narrative. Important clinical features from the procedure go into specific areas of the report. Techna’s Co-Lead, Informatics and Communications Technology Dr. Peter Rossos and Senior Project Manager Kelly Lane, in partnership with a consortium of hospitals in Ontario, Alberta and BC established a common system for reporting the results of the procedures—known as synoptic reporting. The objectives of the project were to develop, implement and evaluate a pan-Canadian data model and synoptic reporting solution for colonoscopy, upper gastrointestinal and colposcopy procedures. Experts from the Canadian Association of Gastroenterology (CAG) and the Society of Gynecologic Oncologists of Canada were also consulted in the development of the data model. Funding was provided by Canada Health Infoway, with additional meeting support from the Canadian Partnership Against Cancer. The full list of contributors is available here. SNARE combines this synoptic point of care clinical reporting with the Resident Practice Audit in Gastroenterology (RPAGE) program. The combined data model will be supported through CAG to serve as the first national initiative to combine standardized reporting, quality indicators and endoscopist practice and performance feedback. The final data model has been implemented within multiple technical systems across several organizations in Canada and is available to all Canadian healthcare institutions. A copy of the data models can be requested below. The consistent templates for synoptic reporting give clinicians confidence that they are capturing important information correctly and completely and that it will be available to other health care providers in a usable form. The standardized reports make information more comparable between exams and between patients, which helps health care teams make better-informed decisions. Turn-around time for reports is also improved. The systems implemented also store data such as still and video images in a way that is accessible later by members of the patient’s health team, and are compatible with a number of electronic medical records systems already in place within various hospitals. Structured data is more readily available to researchers in a usable format, aiding efforts to find ways to evaluate and improve provincial screening programs, and also to build evidence-based medicine recommendations for care and reporting. The initiative also offers the unique opportunity to combine clinical and practice audit reporting. 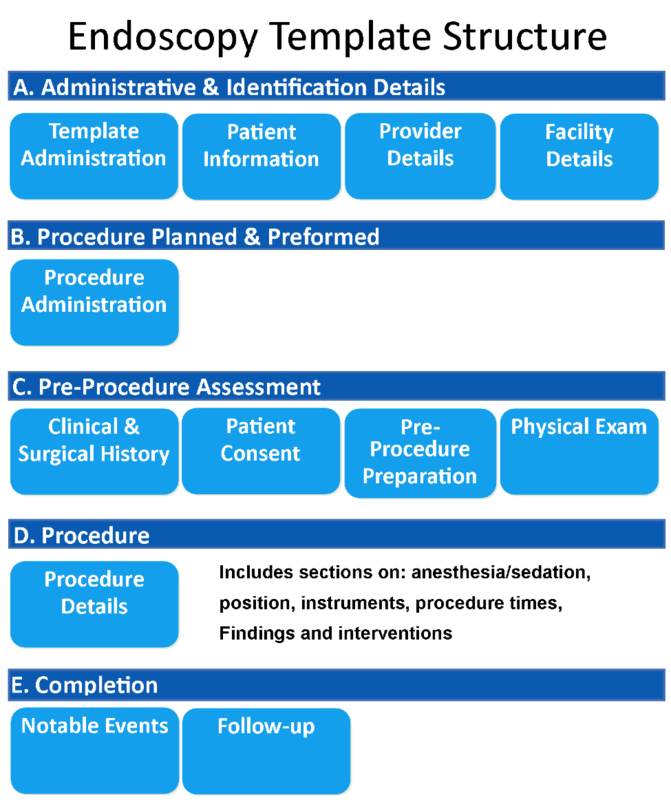 Alongside the synoptic reporting system, the initiative has also rolled out standards for performing the endoscopic procedures themselves in consistent ways, including the use of safety checklists. The benefits of creating a national data model are wide-reaching, but there are also many challenges associated with developing one. 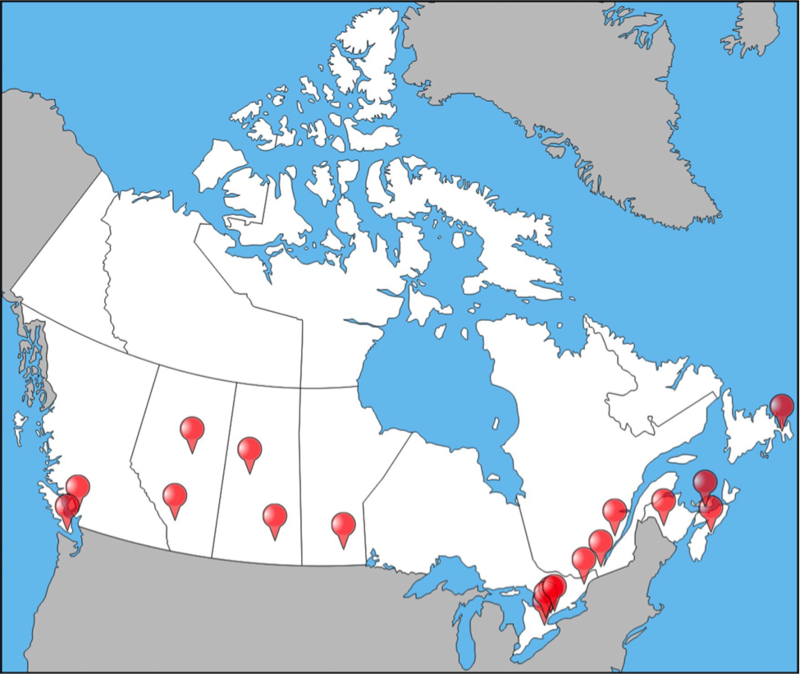 There are variations in standard practices across Canada, and differences in local, regional and provincial priorities. SNARE is one of very few examples where consensus has been successfully achieved in clinical practices across the country. Templates are helpful for guiding discussions and provide a tangible starting point for the development of a pan-Canadian data model. The investigators established a National Endoscopist Working Group representing academic, community, adult and pediatric practice. Participation from clinicians across the country was solicited to provide key clinical and quality indicators, leveraging the most up-to-date national and international standards. The group reviewed and incorporated elements and indicators from the Canadian Association of Gastroenterology (CAG) consensus guidelines on safety and quality indicators in endoscopy (January 2012), Clinical Outcomes Research Initiative (CORI), UK Global Rating Scale (GRS), Colonoscopy Reporting and Data System (CO-RADS) and Minimal Standard Terminology (MST). Participants determined content for inclusion in the endoscopy data model. Data elements were defined and identified as being essential, recommended, or optional. Optional: May include elements recommended for endoscopy reports including local, provincial or research requirements. Participants were advised to produce data models that could be used generically across technology platforms. Providers and organizations have the ability to adapt the data model by selecting optional data elements for inclusion. The final template was submitted to the Canadian Association Society of Gastroenterology (CAG) for review and endorsement. 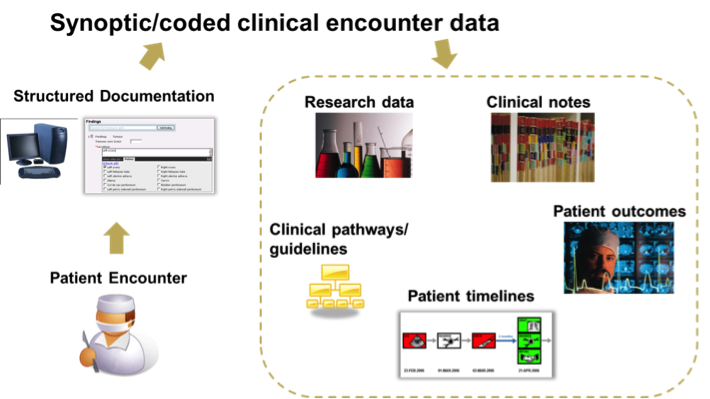 Partnering with a clinical society or national organization provides a mechanism to disseminate the data model and oversight process to regularly review and maintain the content. The purpose of this project was to develop, implement and evaluate vendor-agnostic national data models for reporting colonoscopy, upper gastrointestinal and colposcopy procedures that incorporate standard terminologies and classification. The evaluation of this project utilized a combination of user surveys and data analysis to assess user perception, productivity completeness of patient healthcare data, report completion turnaround time and transcription cost avoidance. To date, national data models for colposcopy, colonoscopy and upper GI endoscopy have been developed. The colonoscopy template has been implemented across six organizations located in Ontario and British Columbia (Island Health, Grey Bruce Health Services, North York General Hospital, Toronto East General Hospital, University Health Network and Women’s College Hospital). Over 100 clinicians have completed more than 13,000 procedure reports electronically. The structured templates developed have incorporated quality indicator fields and standard terminologies to facilitate quality reporting and analysis. 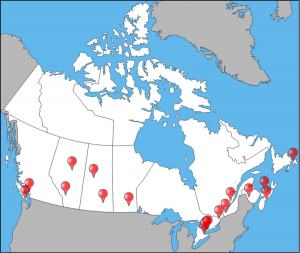 Clinicians from across Canada were engaged to develop and gain consensus on the clinical data models which included the latest evidence-based practices. A national data model provides a consistent framework for Canadian healthcare organizations to adopt and allows for data comparison. Competence in performing endoscopy is an essential component of a Gastroenterology trainee’s professional development, and yet the standards that both facilitate and confirm the achievement of competency are poorly defined. Increasingly, objective assessment of performance is recognized as a critical assessment parameter in determining endoscopic competence accurately. Furthermore, the ASGE training guidelines mandated that each trainee’s acquisition of technical and cognitive skills be monitored on a regular basis. Most training programs do so by the use of procedure logs or subjective evaluation by their preceptors. Unfortunately, performance of a minimum number of procedures, while a prerequisite for skill acquisition, does not guarantee competence. Furthermore, subjective observation is neither valid nor reliable. Tracking quality indicators for trainees may provide more reliable outcome data to improve educational programs and establish training requirements. As such, the objective of the Resident Practice Audit Program Gastroenterology (RPAGE) program is to measure specific endoscopic quality indicators for trainees to determine if outcome can be used to assess the quality of procedure training and contribute to more objective means of establishing uniform training requirements among programs. RPAGE is a point-of-care, peer-comparator practice audit tool facilitating the collection of anonymized trainee, patient and practice data using a web-based data capture mechanism for subsequent analysis and review by participants. The instruments allow trainees to objectively record key endoscopic quality indicators (eg. gastroscope and colonoscope insertion and withdrawal times, bowel preparation quality, sedation, immediate complications and polypectomy, biopsy rates). Furthermore, development of comprehensive user feedback functionality, with exportable, customizable reports and Program Director accessible trainee data has promoted utility in trainee review of personal performance and peer comparison, promoting the identification of learning needs and objectives, as well as the basis for the development of targeted education programs. As a Canadian Association of Gastroenterology (CAG) supported initiative, the integration of RPAGE into endoscopic training in Canada has proven timely, as a structured mechanism for Canadian training programs to proactively embrace the introduction of the Competence by Design (CBD) initiative by the Royal College of Physicians and Surgeons of Canada with the formal integration of competency-based education to learning and assessment in postgraduate medical training.